Audi confirmed on Tuesday, April 11, that its Q range of premium off-roaders is set to grow from four to six models, starting in 2018 with the launch of a flagship Q8. This coupé-rossover will be breaking new automotive territory for the premium German brand, as it will be going head-to-head with the Range Rover Autobiography in terms of size, stature and creature comforts. However, the company’s insistence that the car is referred to as a crossover rather than an SUV suggests that it won’t be able to match the Range Rover’s all-terrain prowess. Whether or not it will be able to climb mountains and ford streams is irrelevant. The fastest-growing areas of the car market are the full-size luxury sedan segment (think BMW 7-Series and Lincoln Continental), which has seen a double-digit percentage increase in Europe and the US, and the SUV market which continues to grow and grow. Therefore, combining these two overriding consumer preferences in one vehicle makes perfect business sense. A year after the Q8 goes into production it will be followed by a scaled-down version, the Q4. The Q4 will share the same sloping roof design and will be aimed at consumers otherwise considering a Mercedes GLC coupé, BMW X4 or Range Rover Evoque. 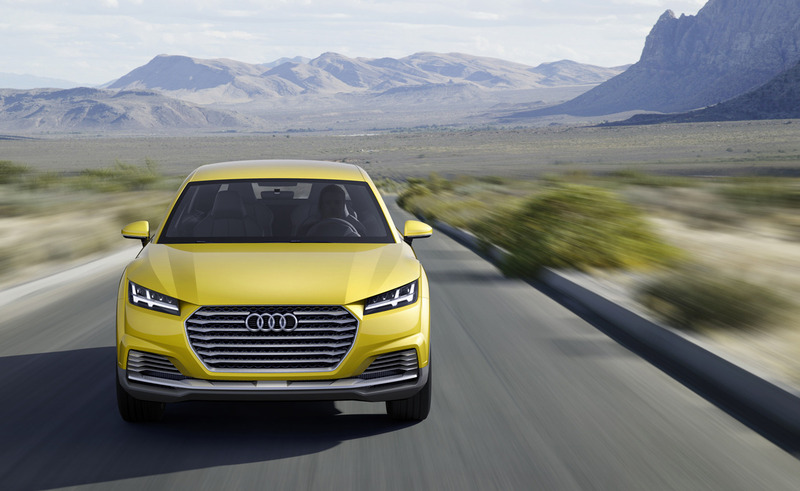 “We will integrate two completely new Q‑models into the existing production network and will thus increase our competitiveness in an extremely important segment,” said Audi’s Board of Management Member for Production and Logistics, Prof. Dr. Hubert Waltl. Audi has already teased the Q8 in various concept cars for auto shows over the past 12 months, suggesting that the final production model will make its debut in Frankfurt in September 2017. 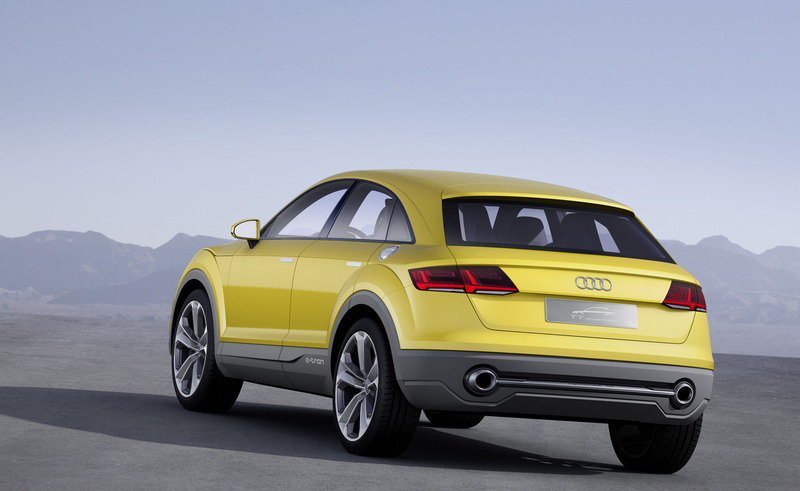 As for the Q4, the first conceptual take on its design could well arrive at the same event. The company’s announcement follows a similar move from direct competitor BMW. At the Paris Motor Show in September 2016 it unveiled the X2 compact coupé styled SUV in concept form. It then confirmed in March 2017 that the X2 would go into production in 2018, followed by a flagship X7 SUV.